Get Over Yourself: Tips on Being Positive. 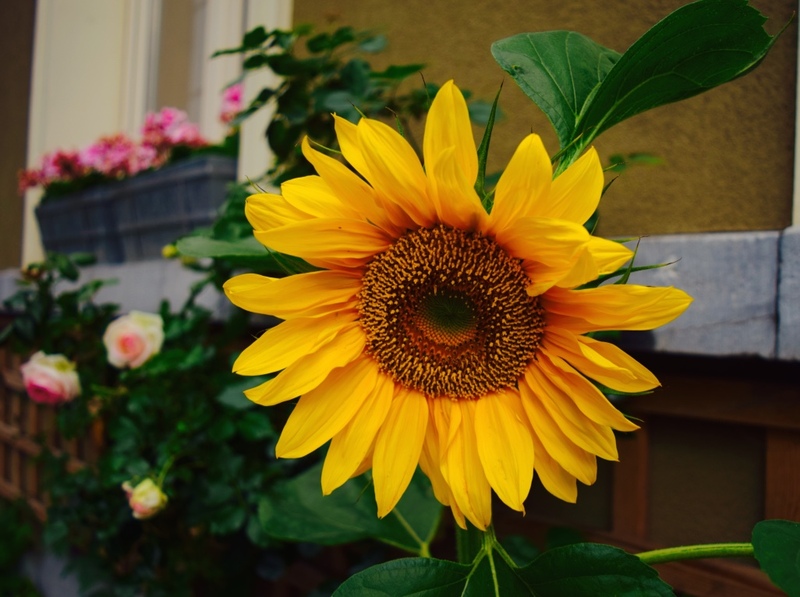 This sunflower is always very positive! Recently I encountered a friend who was so negative and whiney I just wanted to slap her. Literally everything that came out of her mouth was negative, disastrous, hopeless or disappointing. Oh my god, it was so draining and depressing! Her life really was not that bad, but she was choosing to see only the negative side of her situation. The problem with negative talk is it makes you feel even worse. Continually complaining about life and its nuances is damn right annoying and counterproductive. I personally have no time for negativity. I was raised to be a very positive, optimistic glass half full kind of thinker. Both my parents were this way too, and regardless of the many adversities they faced in life, they would never complain; they would carry on, pull their socks up and face the brunt of the storm head on. I really admire their courage and tenacity to face their challenges, and in turn they have created a daughter who also feels and demonstrates the same attitude. I just don’t have time for complaints. I don’t have time for whiners or whingers . I don’t have time for misery, or for bad stories with hopeless endings. I don’t have time to hear about your poor dwindling health, or how much you hate your job or relationship. Quite frankly people need to deal with their problems and get over themselves! Face your problems and deal with them as effectively as you can, with as minimal negative verbal diarrhoea as possible! One thing my beautiful Mum graciously taught me; she never complained about her health or situation. She was always very positive, making the most of a bad situation, and overcame her challenges with minimal fuss. She kept her mouth shut about her health, and trust me she suffered with pain daily. As she chewed vigorously on mild pain killers (panadol) and sipped her cider in the evenings, she remained tight lipped about her health, and never complained. Thank you Mum for teaching me the merits of being positive. I fully believe we perpetuate a bad situation by continuing to complain about it. It does not get any better by verbalising it. Best to come up with a solution, work out a resolution, create an alternative, build a bridge, and simply keep the situation as positive as you can make it. Now I feel I can say this coming from a point where I was feeling very miserable about everything in life not that long ago. Losing my whole family to cancer made me feel hopeless and depressed about my future without my loved ones by my side. Fortunately I have ‘got over myself’ and created a very positive new direction for my life. And you can too. If you are faced with a dilemma or a big problem try and find a positive way to see your challenge. There is always an alternative way to view your crisis, and believe me time will pass and circumstances will change, they always do. We all get down at times, that is called being human, but it is important to maintain a generally positive perspective on life, and try to make the best of even a bad situation. Wishing you all the best in positivity and happiness. What do you do to improve your mood and be more positive? I use gratitude when I am feeling down. I remind myself of how much I have and how many good things are in my life. It really helps me pull myself out of self-pity. Hi Anita, totally agree, I will listen to people being negative, up to a point, I make suggestions as to how they can change things such as health, hand in your notice, sack your boss, but if all they want to do is sap the energy out of me, then it’s bye-bye, move on to keep company with those who are fun and encouraging to be around. Hope that you got home safe and sound without too many “adventures” along the way. People have bad days, we are only human! Sometimes people just need to let things out! I have a dear friend who just seems to spew dread. I care for her, but honestly it is to draining to be around. I am too sensitive to even bring it to her attention. I do interject with the positive of whatever she is dreading. What to do? ← Book review: Murakami magic.